"I've been everywhere. You're the first person to help." If you've been searching for pain relief or help healing from an injury, you have found the properly trained Chicago therapist. 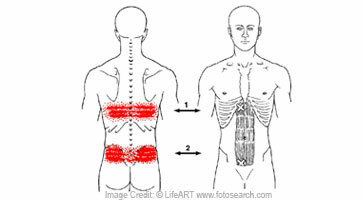 Many people don't realize soft tissue can be the cause of their pain or that certain massage techniques can help. Jody has a unique ability to quickly get to the real root cause of pain. She specializes in massage techniques designed to offer therapeutic relief such as neuromuscular trigger point release therapy. If pain is interfering with everyday life, your athletic performance, or you want to help prevent an injury, bodywork can help you stay on top of your game. "Jody Brown is the most effective massage therapist I have experienced. She has extensive training in multiple modalities and a deep understanding of the body. I had been in pain for years before I went to her. In just a few visits, she had identified the underlying problems and relieved them—no more pain! Then she taught me how to help keep the issues from recurring. I have recommended Jody to many people over the years—and they, too, have been thrilled with the results." Nothing beats the feeling of pain relief, except getting it sooner. Working with clients from diverse backgrounds for 20+ years shows in Jody’s ability to get you moving with ease. Fast. Get the relief you've been searching for. Schedule your session by calling (309) 369-6970. Call (309) 369-6970 to schedule your massage. All material provided on this website is for informational purposes only. If you need specific medical advice please contact your medical professional. All therapies should be used in conjunction with your current traditional medical care.